This is where we meet to start the Parade. It is a bit confusing, but if you lay the section of the map with the forks over the left side of the map so that the black and red sections line up, that’s how it works. 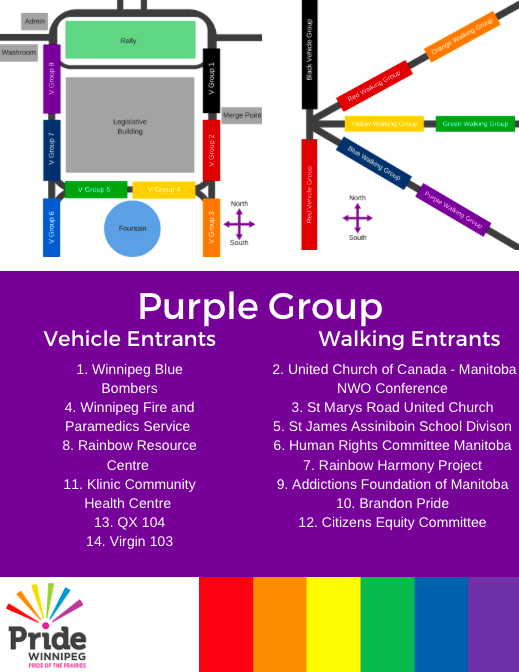 We are the purple walking group. Down the bottom fork. Near Kennedy St.